As millions of fans await the return of the Master Chief with the launch of “Halo 4” on 6th November, Microsoft and 343 Industries recently revealed all-new details around one of the year’s most anticipated blockbusters. Set almost five years after the events of “Halo 3,” “Halo 4” takes the series in a bold new direction and sets the stage for an epic new sci-fi saga, in which the Master Chief returns to confront his destiny and face an ancient evil that threatens the fate of the entire universe. In addition to a rich story and campaign, “Halo 4” introduces a groundbreaking new multiplayer offering, called “Halo Infinity Multiplayer,” that builds off of the “Halo” franchise’s rich multiplayer history and promises to continue to innovate and redefine the way people think about storytelling and multiplayer experiences. The hub of the “Halo 4” multiplayer experience is the UNSC Infinity – the largest starship in the UNSC fleet that serves as the centre of your Spartan career. Here you’ll build your custom Spartan-IV super-soldier, and progress your multiplayer career across all “Halo 4” competitive and cooperative game modes. Surrounded by the sights, sounds and crew of the biggest vessel in the UNSC fleet, your multiplayer experience will be embedded in the fiction of “Halo” like never before, where your progress and game choices affect your appearance, arsenal, and role on the battlefield. The story of the UNSC Infinity intersects with the “Halo 4” campaign, then continues on in a brand-new, story-driven experience known as Spartan Ops. A first of its kind, Spartan Ops is an episodic adventure that blends immersive storytelling, high-quality cinematics, and action-packed gameplay to deliver a serialised experience. Through a weekly series of cinematic episodes on Xbox LIVE, Spartan Ops will tell the continuing story of the UNSC Infinity, following the events of “Halo 4.” These episodes will centre on the UNSC Infinity leaders and crew, and a new team of Spartans – Majestic Squad. These cinematic episodes will provide the backdrop for the weekly Spartan Ops gameplay missions. Playable in single-player or cooperatively (with up to three friends), explore the corners of Requiem in these objective-based missions, and help uncover the secrets of the mysterious Forerunner world. A massive-scale adventure that builds off the “Halo 4” story, access to Spartan Ops is included with “Halo 4” at no additional charge – effectively delivering two campaign experiences in one game. The competitive multiplayer modes of “Halo 4,” known as War Games, take place on the combat deck of the UNSC Infinity and revive the visceral and immersive experiences that “Halo” multiplayer is famous for. “Halo 4” introduces fresh, immersive new game modes and strategies to help you progress your Spartan-IV career, while also delivering an experience that’s still distinctly and uniquely “Halo.” More details on all the modes of War Games will be released at a later time. 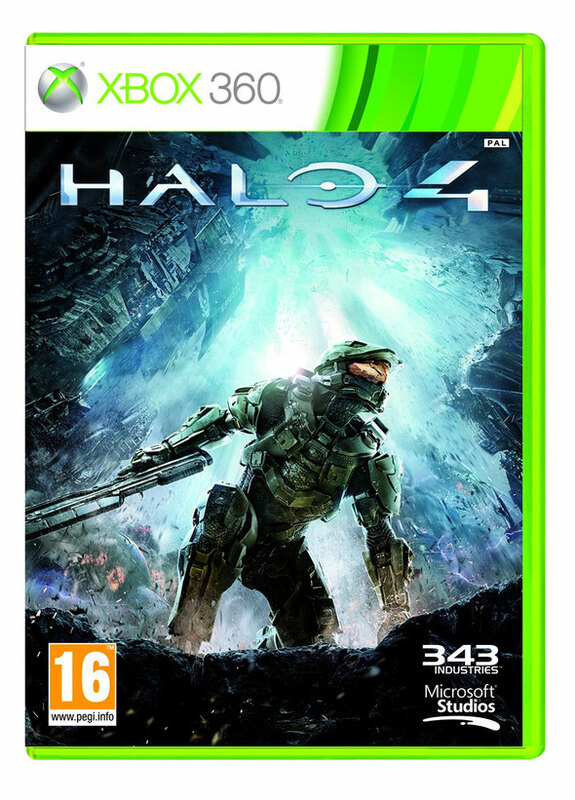 “Halo 4” features a vastly expanded suite of new multiplayer modes, weapons, vehicles, armour abilities, a new loadout and player progression system, and a new armour modification system that introduces gameplay-enhancing customisations for the first time in a “Halo” game. These advancements can be used in both Spartan Ops and certain War Games matchmaking playlists, empowering player choice, vastly expanding their creative options, and make the experience deeper for core fans and more approachable for newcomers. The player progression system goes beyond simple aesthetic upgrades, encouraging players to invest time and effort to create a Spartan that looks and plays the way they want. Players can earn and activate combat enhancements called “Specialisations” based on the style of play they engage in, from stealth to all-out assault, and everything in between.